What is TalkingAds Limited Doing to Prepare for the Upcoming 5G Rollout? TalkingAds Limited is a seasoned marketing agency. They know what they’re doing. For many years, they’ve been helping businesses all around the world to strategically prepare for relevant industry trends and technological breakthroughs. That’s before these hit mainstream markets. After all, being at the forefront of bleeding edge technologies and accurate market movement predictions can give you tremendous advantages over your top competitors. This is among the primary goals of TalkingAds for their clients. Many businesses are starting to prepare for upcoming 5G mobile network rollouts in their target countries and local areas where their ideal audiences are situated. From startups and small businesses to established companies and multinational firms — They know that access to faster, more ubiquitous Internet connectivity across wider segments in their ideal markets will result to radical changes. Especially to the needs, activities and preferences of their target customers and prospects. This in turn requires them to step up their promotional techniques, advertising strategies and marketing tactics. Even independent app development groups, content publishers and individual marketers like affiliates and resellers are starting to realize the significant implications of these upcoming technological updates. For example, their subscribers and users are expected to prefer viewing content with a diverse set of multimedia elements. This include interactive features, ultra high definition videos, 3D images and top quality audio streams. Plus, interactive features are likely to include the ability of their subscribers and viewers to go on live video conferences to participate in meaningful discussions with their like-minded peers through their platforms. TalkingAds Limited started doing these things long before these businesses and publishers. That’s why their clients are already set up and well-prepared for these changes. They’re also continuing to carefully keep an eye out for more industry trends and technological breakthroughs that can come up with the upcoming rollout of 5G mobile network technologies across the target markets of their clients. After all, significant trends and breakthroughs tend to cause a ripple effect long before its immediate rollout. For example, social media and smartphones continue to change the landscape of many industries and markets all around the world today, and the world has never been the same. More Diverse Multimedia Elements in Customer-Facing Content Materials — As described earlier, larger numbers of your target customers being able to access their desired content anywhere through faster Internet connectivity is a game-changer. Many of them are likely to expect your apps, platforms and sites to serve them with content that’s integrated with different multimedia elements. For example, Netflix already started to serve interactive videos in their repository, which they continue to promote rather extensively. So it’s about time you prepare ultra high definition videos, interactive features, high fidelity audio streams and high resolution images for the content materials and social media posts that you’ll use for your promotional campaigns and products. More Interactive Live Video Communication Features — TalkingAds Limited continues to advise their clients to prepare their back end systems and server networks to support heavier, more consistent video and audio streams. They also recommend their clients to do the same things for their customer support systems. That’s because users with ubiquitous access to much faster Internet connectivity through 5G mobile networks are also expected to prefer going on a live video conference with other viewers while consuming your content, or for communicating with your sales agents and customer support representatives. Also keep in mind that lots of them might prefer to use the available instant messaging tools in their favorite social media platforms to do this. So you should integrate your back end systems with these instant messaging technologies, all while ensuring that your server networks can indeed accommodate higher bandwidth requirements. IoT (Internet of Things) Integration — Even if you aren’t a manufacturer of IoT gadgets, this will still significantly affect the bottom-line results of your marketing and advertising campaigns. 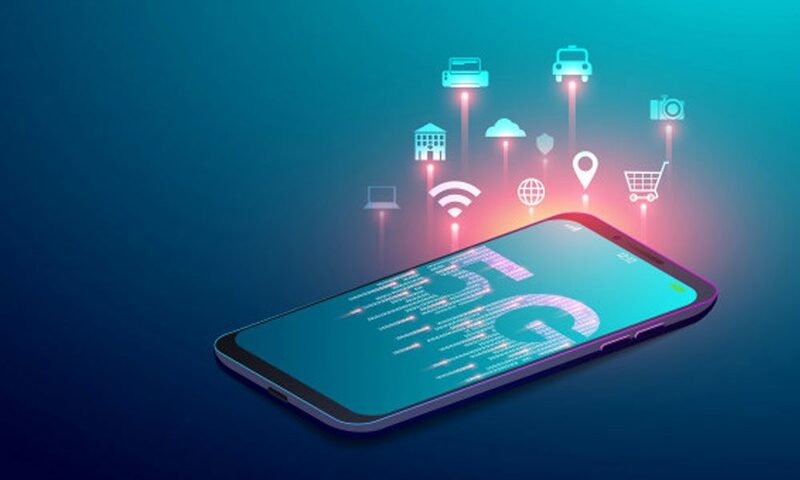 Because 5G mobile network technology can enable IoT devices to function seamlessly, you should expect massive launches of the latest IoT appliances, gadgets and tools all around the world this year. With this, you’re also recommended to expect lots of advertising networks and content publishing platforms, especially the biggest ones, to alter their systems and offerings to accommodate these IoT products. Plus, remember that financial facilities and payment processing establishments are likely to integrate their own platforms and services with connectivity features for these IoT devices, advertising platforms and publishing networks. For example, a payment app can recommend relevant products to a user at the checkout counter of a convenience store when the same user’s IoT-enabled refrigerator informs the payment app that the user is lacking certain goods and supplies. Now that’s just one simple sample situation to illustrate the power of IoT when it comes to advertising and marketing. Keep these things in mind, and you’ll be able to also come up with other accurate predictions that are likely to happen across your target niche markets and in the industry where your business operates. Plus, don’t forget that artificial intelligence and the blockchain technology are bleeding edge breakthroughs that are likely to be combined with the things described earlier. For example, your platforms and apps should be set up for smart recommendations while your target prospects are at your shopping cart. This can allow you to generate additional sales, be it your direct or affiliate products, on top of offers that you’re prioritizing at the moment. You should also integrate smart chat bots that are backed up with artificial intelligence and machine learning systems. This can allow you to drastically cut down on your back end support overheads, all while improving your conversions and customer acquisition rates. For more direction, you’re recommended to keep an eye out for the latest publications of TalkingAds Limited regarding 5G mobile networks and its effects to online advertising, affiliate partnerships and digital marketing in general.